Rural England at its best. Undiscovered. 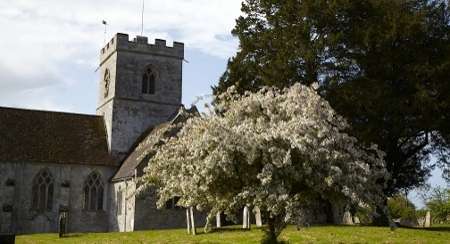 Relax in the peaceful countryside of South Wiltshire. Your trails are full of adventure and discovery with large impressive country estates and idyllic little villages. You’ll discover two castles, one featured as the school in the film Billy Elliot and the second is England’s only hexagonal castle. It also boasts film fame having featured in Robin Hood Prince of Thieves. Authentic, relaxing and indulgent. Knights Medieval Castle is a centre based walking vacation, staying in one place. It gives you an encounter with deepest rural Wiltshire. With a varied combination of history, nature, spectacular landscapes, streams, castles and idyllic villages. With Foot Trails local knowledge and expertise you will enjoy exploring on little known paths and trails, off the beaten track and away from the crowds of the national trails. 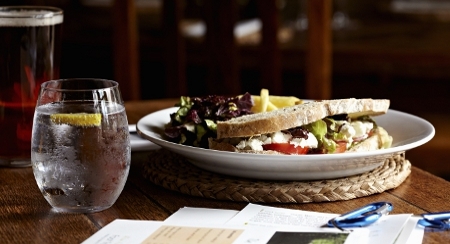 Country pubs on route provide delightful pauses for lunch. 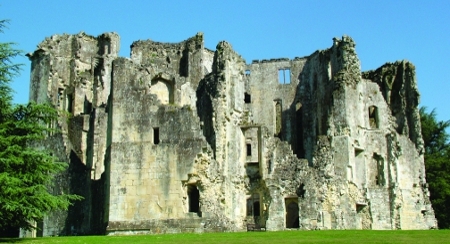 South Wiltshire is a special place – capturing our imaginations with a glimpse into our ancient past. Your holiday will be tailored to suit you and the season. 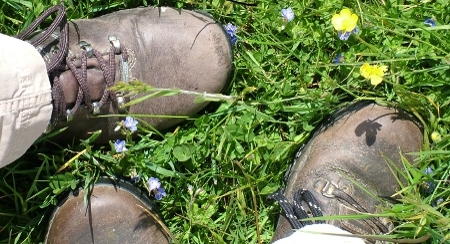 Centre based you stay at one country pub throughout your walking holiday and enjoy a different and varied walk each day. There’s a choice of two daily trail (hike) lengths – shorter 5 to 7 miles (8 to 12km) trails or – longer up to 10 miles (16km) trails. 2 night stays are available 01 October to 30 March – at all other times of year stays of 3 or 4 nights are available. There are car free and dog friendly options on this trail so please ask us for details. 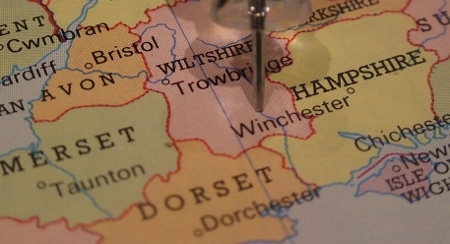 Getting here is easy, your trail is located near Salisbury in South Wiltshire. Its about a 1 1/2 hour car journey from London, less than 1 hour from Southampton. For a car-free option (2 or 3 night stays only) the nearest train station is at Tisbury, Wiltshire. Transfer from the station to your inn is about 10 minutes. For overseas guests the nearest airport is at Southampton. London Heathrow is also easy to get to. Airport transfer can be arranged, just ask. Relax and indulge with Foot Trails at an award winning rustic country inn dating to the 14th century. 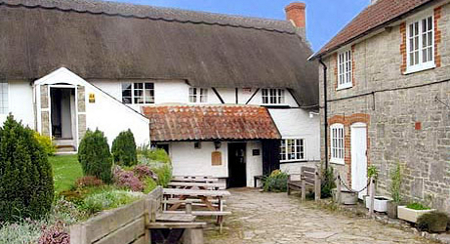 Winners of several awards including Wiltshire pub of the year. Much character including flagged stone floors, wooden beams and real fires. All bedrooms are en-suite with options for bath or shower. Wonderful country breakfasts and award winning dinners. Great choice of local real ales and beers. Fine wine. This tour is available at weekends and mid-week. 3 and 4 night holidays are available year round. 2 night short breaks available (01 October to 31st March) from £189 person*. • Independent (self guided) walking days tailored to you and the season • Tailored walk and explore pack • Local Ordnance Survey™ maps (waterproof) • Trail guide cards (waterproof one for each day with easy to follow instructions) • Plastic map holder • Local stories and histories • Recommended lunchtime stops at country pubs and cafes • Nature cards for identifying wild flowers, trees and animals • Seasonal nature guide book • Sweets (for a boost on route) • Your en-suite accommodation • Breakfasts. • Drop off service when it makes for a better walk. We will provide you with a full detailed itinerary with price quote before you book. “We had a fantastic time. The walks were just what we wanted with so much to see. Both of us were very impressed by the pre-holiday pack. The Inn was great with lovely accommodation and superb food. “Just thought to drop you a quick line to thank you for our recent holiday. The walking was wonderful in some lovely countryside, and the Inn was fantastic – the food was incredible! We had mixed weather but that is to be expected!